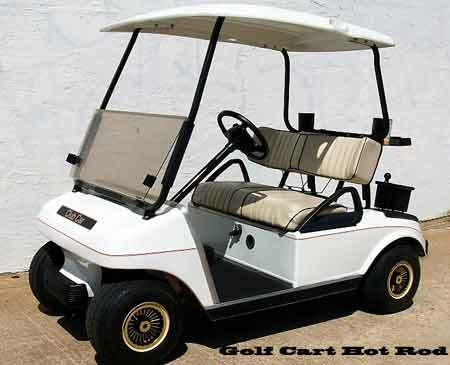 Some Club Car golf carts use an On Board Computer (or OBC) to monitor and control various capabilities of their carts. It acts as a Go/No Go control for the charging and cart drive systems. When the OBC finds a problem in either the charging or drive system, it will turn off that feature. After the fault clears, the OBC is supposed to turn that system back on. Oftentimes, the OBC will not clear a fault. It is possible to manually reset the OBC. The reset sequence is not hard to do, but can take quit a few steps. Disconnect the Battery Negative (–) wire from the Battery Minus terminal on the battery pack. Lock the throttle pedal down. The reverse buzzer will sound and go off in about half a minute. Leave the cart like that for 5 min to cause the OBC to reset. Reconnect the Battery (–) wire to the battery minus terminal on the battery pack. Your Club Cart’s On Board Computer should now have been completely reset. I tried this test and my reverse buzzer never shut off what does that mean? I did as the instructions said and the reverse buzzer did not sound, what next??? 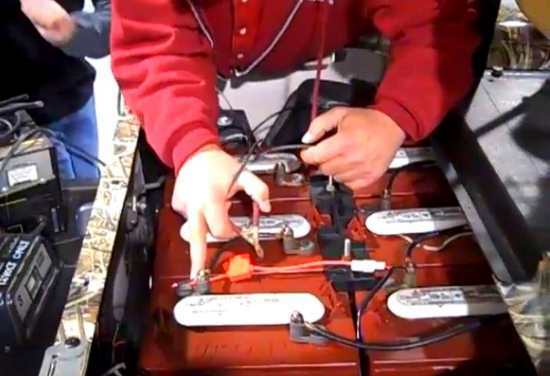 Question on disconnecting the battery negative wire from the battery minus terminal on the battery pack…..Can any negative terminal wire be disconnected on any battery or is this a particular battery that needs disconnecting ? I HAVE A 2009 DS. I’m wondering why buzzer doesn’t sound. Could it be that the negative side of battery is disconnected & power don’t get to it? Hmmm.